Hey you, thanks for reading (not everyone does). How's it going? 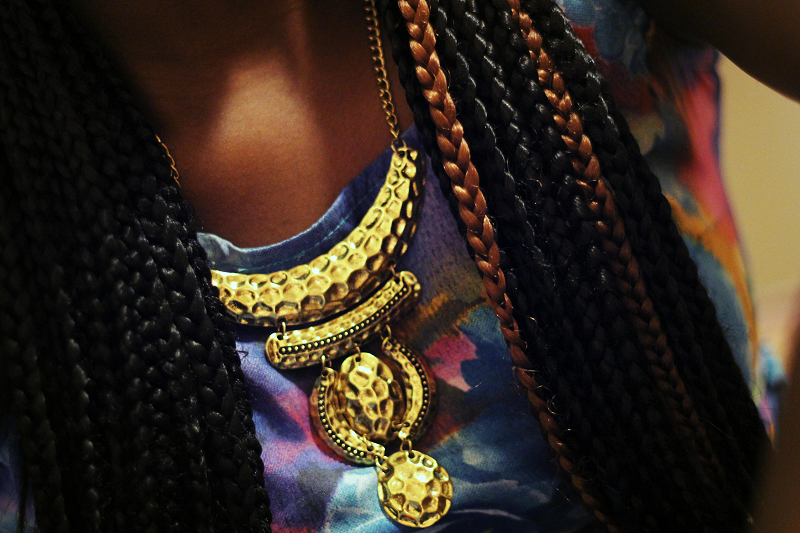 How gorgeous is this necklace? Ever since it was sent to me by eFoxcity (affordable and fashionable clothing and accessories), I've been wearing it almost every single day! I mean... it goes with almost anything, and it's very lightweight so it's not my fault. :p I love it so much! 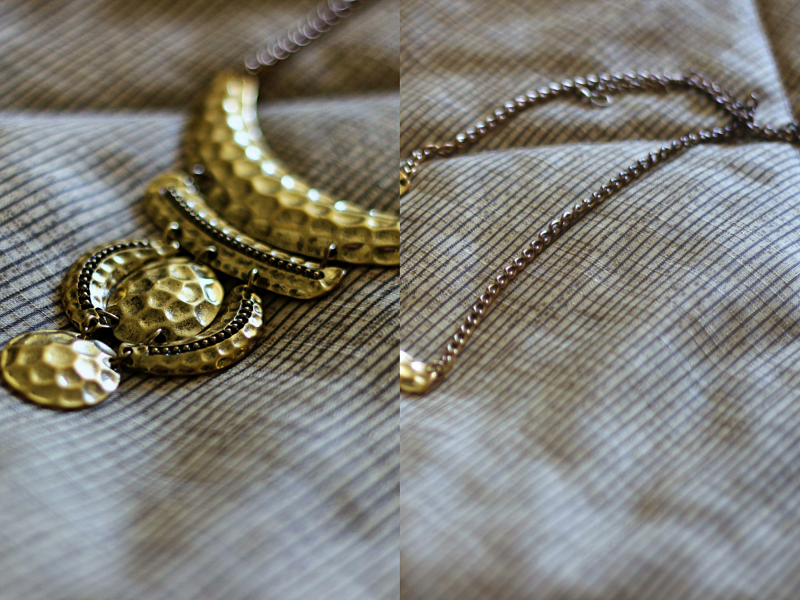 However, after wearing it a couple of times, I noticed the golden color on the chain started to fade off. I know it's not an actual Gold necklace, but I was a bit disappointed by how quickly it lost its color. Other than this, it's perfect! When I put it on now, I make sure the neckline of my blouse/dress covers the chain, then I'm good to go. What do you think? Would you buy a piece of jewellery even tough you knew it would start to fade/wash off eventually? I bought a lovely vintage neckpiece a while ago on ebay. It had like 21 tiny crucifix on one chain. I remember wearing it just once and it tarnished. I was so sad. I figured it was the hot weather in my country but from your post, looks like i was wrong. The good news is i was able to order another one but i am still doing my research on how to care for it before i rock the new one. I can see why you love it especially if its lightweight! It def has that vintage appeal & big enough to make a statement! Great piece!! Do they charge for their shipping? Top Bodycon Party Dresses Under $40 To Buy NOW!